journalism | What's All the Hoopla? Is the media outlet appropriate? What is the size and scope of the audience? Has someone or something else similar to this client recently been featured? Depending on the situation this might be a good thing, or a bad thing. Is the client ready to be on camera? Starting with local media could build confidence and experience. 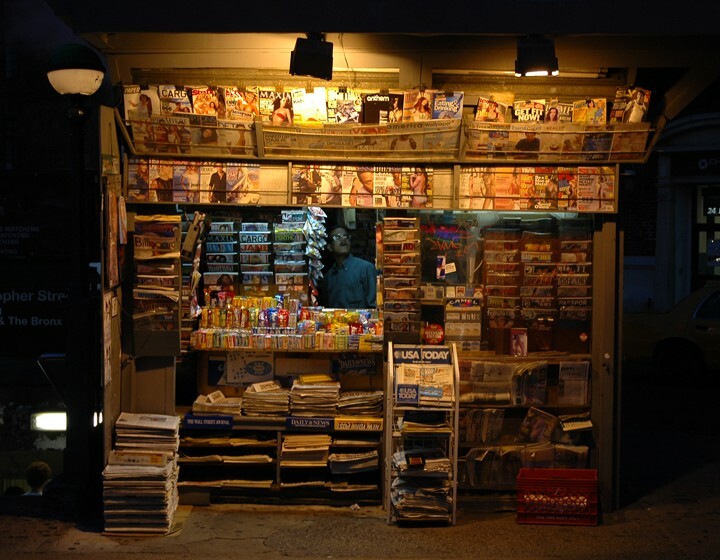 Should we focus on TV, radio, print or new media outlets? All of the above, some of the above, etc.? If so, why or why not? Is this the right time? Are we coming into seasonal challenges, or does the client have a stronger story happening a couple of months down the road? Are people overwhelmed with stories like these already? So, these are typical strategic questions that most PR people will consider before pitching a client. But what about just plain, old-fashioned intuition? Does instinct and gut reactions figure into this? Absolutely. As in any business, sometimes you just need to go with what feels right. More often than not, your gut will tell you to dig someone’s name up from your media lists, or to consider a totally new show or outlet. It’s hard to explain to the client, sometimes, exactly why you’re pitching this show, instead of that. But more often than not, your intuition is guiding the pitching and only later will you realize that it all made perfect sense. Even if the pitches don’t come through, you might walk away with a clearer understanding of how your pitch does or doesn’t resonate. This information is invaluable and will save you a lot of time and energy and certainly will influence the trajectory of your pitches. But when they do come through, watch out! You’ve logically considered all of the viable options, but you succeeded in managing to cut through the noise (as well as the noise in your head) and your instincts were right. Maybe your client was dead set against radio because of one bad experience, but you urged them to do just this one show and voila! It was the best interview ever. So do your homework, but also trust your intuition. Maintaining a balance will yield great results. Call me a dreamer, but I really do think I can do everything I need to do and keep up with this blog… really. Why have I been so remiss? Well, my business is changing– has changed quite a but in the last few months. I’ve stopped offering certain services, and gone back to old favorites. Strangely, not so much because of supply and demand, but because of my own personal interests and direction. I figure, if I am passionate about what I am working on, I’ll do a great job. And I do. One of the reason I was on a mini-hiatus from my blog (not my job, just my blog) is because I have been spending some very productive and happy time on the other side of the fence. I started a new media company called Soul Lab which is both a blog and an internet radio show. This is where I get to share my personal interests, talk to really fascinating people, and keep my journalistic muscles fit and lean. Like most PR people from my generation (30-40), we started out as journalism majors. In fact, there were no real formal degrees in PR when I went to Emerson College. I think I prefer that, because what you need to know about PR comes from being in expert in a field you believe in, and actuallt working as a journalist. So check out Soul Lab Blog and Soul Lab Radio if you are into everything from pop culture to spirituality, from parenting to art. You’ll dig it. Great post from my friend and colleague Nettie Hartsock answering the question, “Can Blogging Kill You?” in response to M.J. Rose in her article “Is Blogging Right for You?” recently published in Writer’s Digest. Believe it or not, writing does not come naturally to most people. In fact, some people hate writing so much, they would rather do their neighbors’ tax returns than write an article even on an interesting topic. For me, I have always loved writing. I wrote my first “book” when I was nine years old. It was called “Albert the Blue Alligator” and I still have it– and it’s still pretty good. I chose to attend Emerson College in Boston, MA because it is a communications school that puts great emphasis on one’s ability to communicate effectively. In fact, the school motto is ” Expression Necessary to Evolution.” So true. So why does a PR person need to know how to write? Don’t they spend most of their time networking, hooking up with journalists, building their contacts lists, going to events and making phone calls? No. That’s some of what a publicist does, but that’s not the whole enchilada. A lot of what happens includes developing messages, working with clients on how to communicate what it is they want to say, and writing a variety of written documents for both internal and external use. There are press releases, Q&As, talking points, media advisories, pitch letters, e-mail communications, etc. All of these activities require a person to be an outstanding writer. Spending time honing your writing skills lets a potential employer or client know that you can get up to speed on new topics quickly; assimilate complex information and relate that to a general audience; understand a variety of audiences; and can create messages that speak authentically and accurately about your product or business. Being a good writer means you are a good strategist, researcher, and overall great communicator. PR people have to understand and apply basic journalistic principles in writing press releases. This tells a journalist that she’s working with a pro– someone who understands the meat of a good story, not just someone interested in hawking a product, service or initiative. I had a very interesting meeting today with a potential new client. It’s the sort of a meeting that represents a typical “why should I hire you” scenario from a first-time author who has written a book published by a small press. First, let me just say that I really enjoyed meeting the author and her publisher. They were absolutely lovely. Though I concluded that I wouldn’t be a right fit because the subject matter of the book was a topic very emotionally intense, I found myself answering their questions in the most straightforward and honest ways I possibly could. In many ways, I have taken the demystification of PR to a whole new level. The author very appropriately asked me what sort of expectations she should have within a three-month contract in terms of how many interviews I could land for her. I said, “Absolutely none.” Had she asked me that ten years ago, I would have scrambled for exactly the right answer. I probably would have said “At least two major hits” or something along those lines. I wouldn’t have been lying, I would just have been very confident in my abilities to deliver. And if I didn’t deliver, not only would I be disappointed with myself, I would have a very angry client on my hands. So here are some basic questions that many publicists get when being interviewed for a contract– and I’ll tell you what I would say. Take it or leave it. 1) Do you have active contacts at Oprah that you can call? Yes and no. I have secured two clients on Oprah in years past, but there is no guarantee that I can pull that off again, and I would never promise that to anyone. What I can promise is that I bring nearly twenty years of experience in developing pitches and stories that capture the attention of producers. But even if your best friend is a producer at a major network or show, they still have to push stories through production meetings, other producers and hosts. 2) Do I have to go to some other state to do interviews? I don’t have the time. No. That’s a waste of time. If you’re trying to get on national television, focus on that. You can always do a satellite media tour from your home town which will transmit you around the country. 3) How many media “hits” are normal? 4) I don’t have much money, but I need a lot of help. How do you charge? I used to charge by the hour, but I don’t do that anymore. A brilliant idea can appear and be executed in a matter of minutes and yield very signficant results. It would not be fair to charge for fifteen minutes of work. I do flat monthly fees depending on the scope of work. 5) How many clients have you gotten in national media outlets in the last six months? It’s not a matter of “getting clients into” anything. There is a process which includes developing messaging, a pitch, and maybe a press release or other materials including b-roll, sidebars and other good content. Good publicists either have existing contacts in your specific industry, or they have the ability to quickly forge new relationships with targeted media. Then the pitch goes out, follow-up is conducted and then you go from there. I think the days of touting how brilliant a PR person is based solely on where clients end up is long gone. In many ways, media relations is honestly a crap shoot. You’re really paying for world-class messaging, media savvy sensibilities, knowledge of your industry and the news industry, and execution. It’s called “earned” media for those very reasons. You may have an upper hand if your pal is an editor, but if the story is stale not even your closest pal can do much for you. What’s Up with Well-Meaning White People? Race awareness in well-meaning white people—including racial progressives—is both sorely lacking and a crucial piece of the racism puzzle. Well-meaning white people who are passive around others’ racism encourage it, whether or not they intend to. Slavery and segregation have been transformed into a less obvious structure: institutional racism. Race awareness entails understanding three facets of racism: the history of racism in the U.S., how institutional racism operates, and insight into one’s own silent racism and passivity. 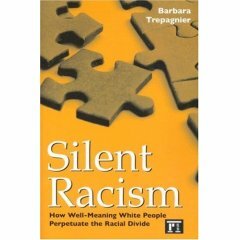 Both silent racism and passivity in well-meaning white people are instrumental in producing institutional racism. Throughout U.S. history a small group of white Americans has stood against the racist institutions of their day. Again, look for the interview in the Feb. issue of Austin Woman Magazine. 1) READ: Whether your business is targeted to general consumers, or a more select audience, make a list of the top ten print publications that your customers read. Think about everything from websites to national magazines and subscribe to them. When you take your morning coffee or tea, spend just ten to fifteen minutes browsing these publications so you can get an idea about what your customers are reading about and, as a result, buying. Don’t forget to figure out which print journalists in your hometown are the best match to report about your product and resolve to really spend some time reading their articles throughout the year so when you’re ready to pitch, you know who you’ll be dealing with. 2) WATCH: Do the same thing with television. Think about everything from one-hour documentaries on TLC, A&E or The Discovery Channel to your local weekday morning new shows. Cultivate the mindset that you’re not just interested in telling people about your service or product but, rather, you’re giving them information that you can use. 3) ACT: In other words, fake it ’til you make it. Believe that you can be a valuable spokesperson or resource on anything and everything related to your industry. This not only makes you a more attractive interviewee for journalists, it can force you to really pay attention to the core messages of your business when you may be on camera at the drop of a hat. Remember to dress the part, take care of yourself, and get enough rest. Like in every area of life, being happy and healthy are major attractors to getting what you want, when you want it. What are some of your professional highlights from the last ten years? Why did you decide to get into this industry? What was the genesis for starting the company? How has business changed over the last few years? What makes you qualified to be in this industry? How are your products/services unique? What are some things that partners say about you? What are some things that customers say about you? How have your products/services evolved over the years? Where are you from, and where did you go to school? How many employees do you have and what are your plans for growth? What sorts of media coverage have you received in the past? Once you answer some of these questions, categories, stories and fact sheets begin to emerge. Then simply hand off what you’ve generated to a writer, and you’ve got the beginnings of a basic press kit. 5) COMMIT: It goes without saying that you can’t do it all alone. The most successful people are that way because of the people they surround themselves with. Do not trust communication with the media, developing important talking points, or sending out a press release to your office manager. If you can not afford a full-time or part-time in-house communications pro, negotiate a contract with a respected PR consultant who can at least help you navigate these sometimes tricky waters. Make a commitment to yourself and to the health of your business to take that first necessary step to work with a communications professional, even on an hourly consulting basis. It’s an investment you can not afford to scratch off your budget. OK– I admit that I can be an overachiever. That’s why I need to add a SIXTH way to get your PR on in 2008. LEARN: I know we’re all pressed for time, but there are a LOT of great PR/Communications/Marketing blogs out there that are literally giving away trade secrets for FREE. I absolutely love that so many smart and talented people are sharing years of experience through the wonderful world of social media. Expand your business know-how and check out The Bad Pitch Blog for a funny inside scoop on good PR practices gone bad. Also, try visiting The Buzz Bin for intriguing posts on marketing, social media, PR and all things related to communicating who you are. And I’ve recently discovered The Viral Garden, a really information-centric blog for those interested in learning more about how to incorporate and utilize social media for small businesses, among many other things. And if you’re itching for some interesting insight into the mad world of the ad world, stop by HeeHaw Marketing. You’ll dig it.